Below you fill find all funeral homes and cemeteries in or near Ripon. 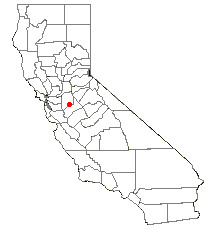 Ripon is also known as: San Joaquin County / Ripon city. Their current mayor is Mayor Leo Zuber. Zip codes in the city: 95366. Some of the notable people born here have been: Kim Johnston Ulrich (actor). Ripon is a city located in San Joaquin County, California. The population was 14,297 at the 2010 census. It was written by San Diego Union-Tribune on May 25th, 2018 that Charles Lloyd Stiles perished in Ripon, California. Stiles was 85 years old. Send flowers to express your sorrow and honor Charles Lloyd's life. It was reported by Register Guard on January 9th, 2017 that Janet Rea Johnston (Owens) died in Eugene, Oregon. Ms. Johnston was 82 years old and was born in Ripon, CA. Send flowers to share your condolences and honor Janet Rea's life. It was written by Modesto Bee on November 14th, 2015 that Mary Louise Yribarren (Arroquy) died in Ripon, California. Ms. Yribarren was 95 years old. Send flowers to share your condolences and honor Mary Louise's life. It was written by Modesto Bee on November 6th, 2015 that Peggy Tonjum (Wootan) perished in Ripon, California. Ms. Tonjum was 89 years old and was born in Evansville, AL. Send flowers to express your sorrow and honor Peggy's life. It was noted by Modesto Bee on November 3rd, 2015 that Grace D Reyneveld (Staal) died in Ripon, California. Ms. Reyneveld was 87 years old and was born in Rapplejay, MT. Send flowers to share your condolences and honor Grace D's life. It was reported by San Mateo County Times on November 1st, 2015 that Cary Michael Eisenberg perished in Ripon, California. Eisenberg was 30 years old. Send flowers to express your sorrow and honor Cary Michael's life. It was disclosed by Modesto Bee on October 21st, 2015 that Amarlin L Garber died in Ripon, California. Garber was 75 years old. Send flowers to express your sorrow and honor Amarlin L's life. It was reported by Modesto Bee on October 2nd, 2015 that Herbert Fox died in Ripon, California. Fox was 86 years old. Send flowers to express your sorrow and honor Herbert's life. It was disclosed by Modesto Bee on September 30th, 2015 that Franklin Stephenson died in Ripon, California. Stephenson was 54 years old. Send flowers to express your sorrow and honor Franklin's life. It was written by Modesto Bee on September 27th, 2015 that Rena Doornewaard (Dejong) passed away in Ripon, California. Ms. Doornewaard was 84 years old. Send flowers to express your sorrow and honor Rena's life. The name originated from a city in Yorkshire, England (Ripon). Ripon is a city located in . The population was 10,146 at the 2000 census. Ripon, originally known as Murphy's Ferry, was named for [http://www.cityofripon.org/Community/history.htm]. Ripon's economy is largely agriculture based, known especially for its high almond production. . The official website for the city of Ripon is http://www.cityofripon.org/. Ripon Funeral planning made easy! Learn how to pre-plan your funeral in Ripon, California, including step-by-step directions. Franklin & Downs Funeral Homes, Ripon, CA : Reviews and maps - Yahoo! Local, 209.523.9135. Get Ratings, Reviews, Photos and more on Yahoo! Local. We work with local florists and flower shops to offer same day delivery. You will find budget sympathy flowers in Ripon here. Our funeral flowers are cheap in price but not in value.